Experienced professional. Beautiful, quality images. Relaxed, safe and nurturing sessions. Hi there and congratulations on your decision to hire a photographer! My name is Kristen from Kristen Marie Imagery. I am a San Diego photographer based in North County. I specialize in newborn photography, maternity photography and baby photography -including Milestone and Cake Smash sessions. I am experienced, full time photographer who has worked with over 300 newborns and countless babies and families. I have invested an incredible amount in education in posing and lighting, equipment and beautiful handmade props/textures/bonnets to craft beautiful portraits of your newborn. It is my promise to you that I will safely and expertly handle your baby. As an early childhood educational specialist, my early passion has been working with babies, small children and families. Therefore, choosing newborn photography to specialize in was an easy choice for me. Investing in a photography session with me ensures that you will have beautiful portraits of your baby taken in a safe and nurturing environment. I am a firm believer in respecting each child (no matter how small) as a unique individual with needs that are meant to be honored. I love getting to know each infant and I listen to them in each session to make sure they are comfortable and secure. What I love about being a maternity and a newborn baby photographer is it allows me to develop lasting relationships throughout the years. This makes each session more then just a job- it is a chance to share in the lives of my families and watch their babies grow! My clients often return to me to for milestone and cake smash sessions, as well as family portraits and even subsequent pregnancy announcements and maternity sessions. I know you have your choice of San Diego family photographers, so I feel honored each time parents choose me to share in these special moments. 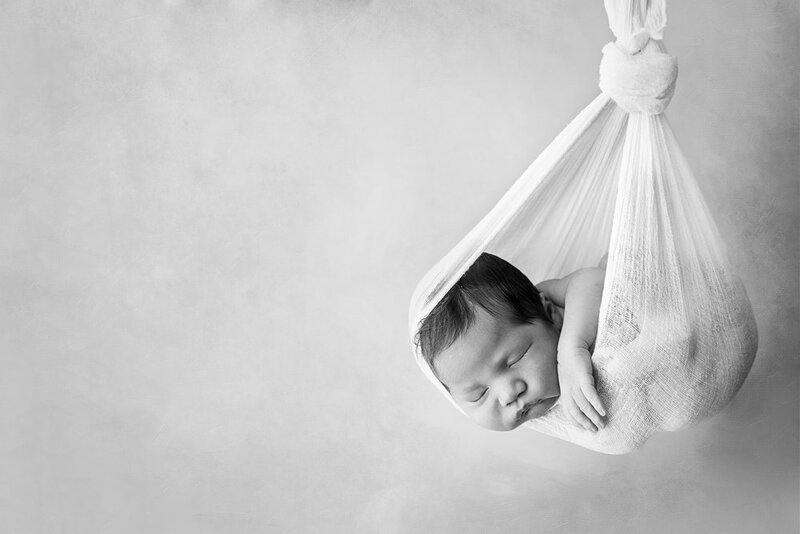 WHy Invest in a Maternity or Newborn Photography With Kristen Marie Imagery? Your pregnancy and those precious early newborn weeks go by in a whirlwind. It is a time like no other- exhausting, beautiful, messy, daunting, exciting, and full of dreams and hopes of what lies ahead. Moments may seem to drag on, but this fleeting time will be a murmur of seamless days jumbled together- punctuated by sharp and clear moments of overwhelming love and overwhelming tiredness. And as your babies grow, your heart will ache with the bittersweet pain only a mother or father knows- the pain being so proud of your child's growth and confidence and new independence- but so sad they will no longer snuggle in your arms as you rock them to sleep as you whisper softly how much you love them. You will want to look back. You will want to sit down with a cup of tea (or a glass of good red wine if you are like me) and look back at those sweet early days that went by too fast and too soon. 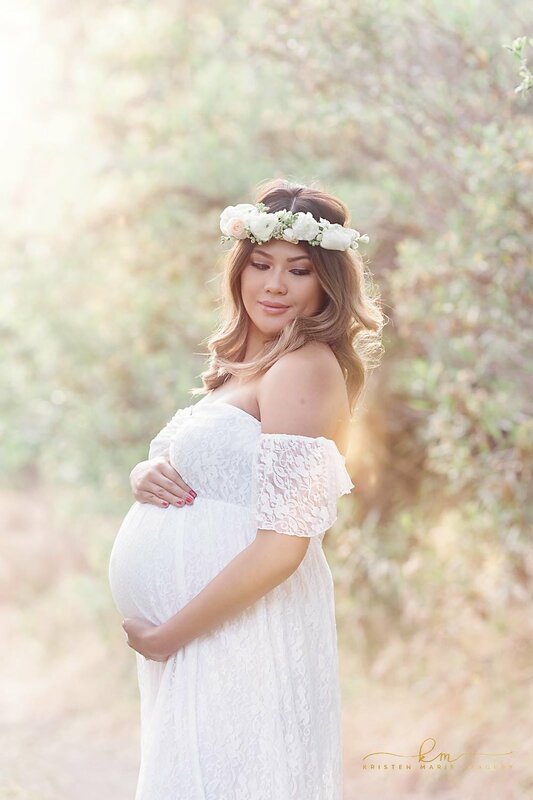 You will want to look back through your maternity photos and smile at how you cradled your growing belly as your partner tenderly kisses your cheek. To a time when you knew was safe…. You will want to look back and you will want to remember. And I want to help you by taking your beautiful memories and turning them into works of art. Take the Time to Relax- We got this! My goal is to keep all my sessions relaxed and fun. No need to worry about fussy babies and children. As an early childhood educator I have the patience and know-how to work with all children. Safety is also my number one priority so you can rest assure when I handle your precious newborn. Are you worried you will feel awkward in front of the camera and are unsure how to pose during your maternity session? It is my job to make you feel comfortable and pose you to look your best! I promise by the end there will be a lot of laughter and you will be posing yourself as the goddess you are. I also have a variety of maternity gowns as well as well as a fully stocked newborn studio of wraps, bonnets, headband, props, etc as well as extra diapers, wipes and pacifiers. I am an all-inclusive photographer which means each session includes edited, full resolution digital images with printing rights- meaning you can print and share your photos as much as your heart desires! I offer a variety of newborn baby and portrait collections to meet different price points as well as to provide flexibility so you can receive exactly what you would like out of your photo session. I also offer prints and products such as birth announcements, gorgeous custom albums, and heirloom boxes with prints to preserve your memories and will be more then happy to help you order if you choose to do so. I love to customize each session to meet the needs and desires of each family. For each session, I will send over a questionnaire. We will go over colors, props, locations and the overall feel you would like to experience and see in your photos. No two sessions are exactly alike! “Kristen is probably the sweetest and the best photographer you can ever imagine! We had a wonderful time at her studio last weekend. She is very flexible, understanding and tries to work with mom and baby’s unpredictable schedules. My baby wasn’t very cooperative but Kristen made it work! At the end of the session, my baby felt so comfortable and loved Kristen so much she didnt even wanna leave. If you want beautiful, quality pictures and pleasant, stress-free experience, as well as reasonable pricing, then look no further. I’m so glad I found Kristen! Don’t let those precious moments go away. Book your session early and talk with her to discuss colors/ styles. She can make it happen!”- Mi R.
Interested in the latest news and promotions? Subscribe to Kristen Marie Imagery's newsletter! Can You Photograph An "Older" Newborn? Yes!